The Independent National Electoral Commission has expressed concern over the two fire incidents in its offices in less than one week which led to the destruction of 8,966 Permanent Voters Cards. Consequently, the commission has reported the cases to the Inspector-General of Police and requested that additional security measures be provided to enhance security around its offices and other critical structures. 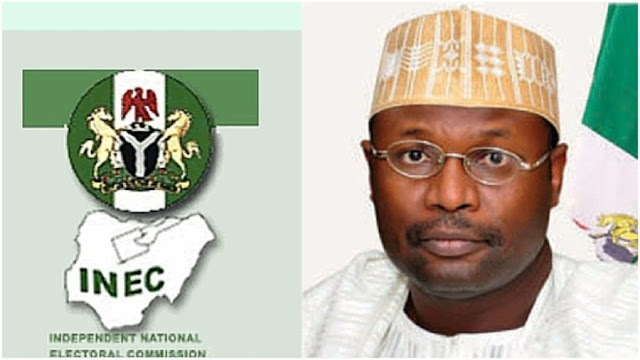 INEC National Commissioner and chairman of its Information and Voter Education Committee, Festus Okoye, in a statement on Sunday night said it had directed the Resident Electoral Commissioner for Plateau State to open a register for all those in the affected Local Government Area who approach the commission to collect their Permanent Voters Cards within the specified period. The said it would print the PVCs and make them available for collection in good time before the elections. The commission has notified the acting Inspector-General of Police of the emerging trend of the burning of the LG offices of the commission close to the conduct of the elections and at a period when the commission is engaged in the massive movement of election-related materials nationwide. The commission said it has notified the Inspector-General of Police of the new trend and requested that additional security measures be provided to enhance security around its offices and other critical structures of the commission. According to Okoye, INEC has directed the Resident Electoral Commissioner for Plateau State to open a register for all those in the affected LGA who approach the commission to collect their PVCs within the specified period, adding that the commission will print the PVCs and make them available for collection in good time before the elections. He said, “INEC has reprinted and delivered the PVCs of the affected registered voters in Isiala Ngwa South in Abia State. The commission made temporary arrangements for the relocation of the burnt offices. The said offices will be ready for the conduct of the February 16 and March 2, 2019 elections. “The commission will proceed as planned in the affected LGA and all the burnt materials will be replaced in good time and as such will not affect the conduct of the elections. All relevant security agencies have been requested to arrest and bring to justice, persons or groups involved in the attacks on the offices of the commission.